Review: A man suddenly arrives at Poirot's office and dies. The only clue is a series of "4's" written on a piece of paper. 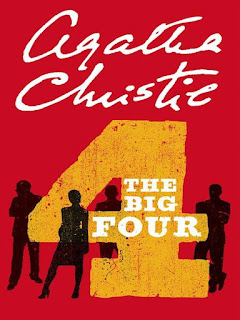 Poirot and Hastings are quickly involved in a series of cases related to an international gang known as 'the big four.' Poirot identifies most of the key players rather quickly, but figuring out a way to bring them down is a different story. It is a battle of the little grey cells between Poirot and this intellectual group of criminals. This was my least favorite Poirot book to date. Although there was an underlying theme relating to the big four, this was essentially a series of boring short stories. I was not emotionally drawn into any of the stories and the ending was a cop out. Avoid this one!